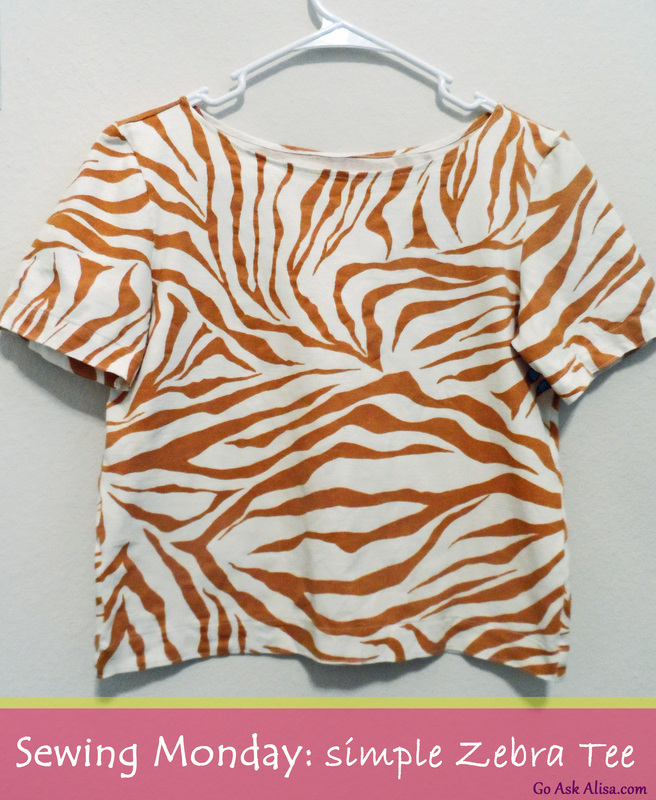 Sewing Monday: Z-z-zebra Tee – Go ask Alisa – DIY capsule wardrobe one stitch at a time! Hello there, crafty person! The holiday season is here and that consumes a lot of time: gift shopping, gift making, décor crafting and what not… But, there is always some time for such a simple project as a t-shirt. To be honest, I never even thought of making t-shirts, mostly because working with jersey is a challenge for a regular sewing machine and t-shirt is such an easy piece of clothing, that does not require fitting, so usually I buy my t-shirts. 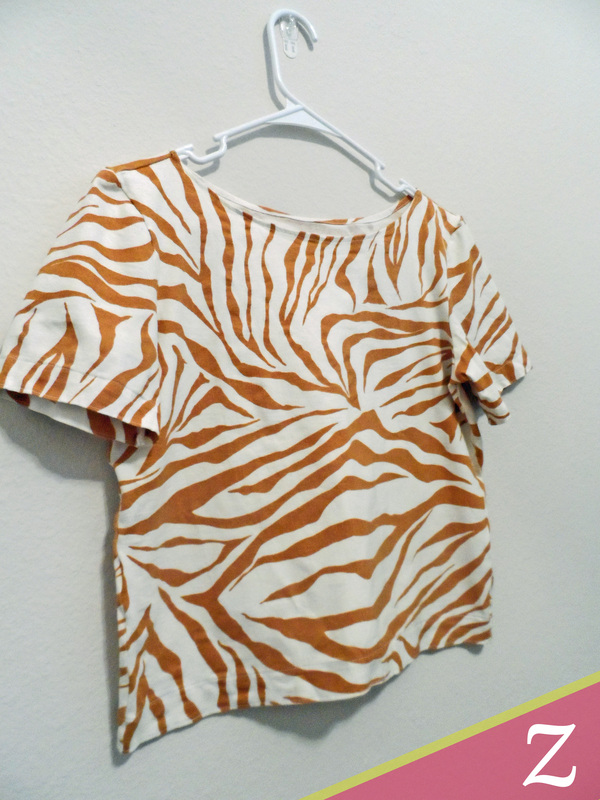 This time I spotted this beautiful stretch cotton in zebra print and I desperately wanted to make a t-shirt out of it. Hopefully I get a chance to take some pictures of this T-shirt on me in a combination with other clothing. It is a very nice print, fresh, not too bright, but still with an interesting nature! Enjoy! Pattern: Actually, I modified this pattern from a wrap blouse that I made before. It was not too difficult, it is such a simple piece to make. New experience: I had a bit of a challenge working with such a soft stretch cotton. Seam would not go straight at first, cotton would stretch tremendously while sewing. It took some time adjusting tension on the sewing machine, but everything worked out in the end. Previous Previous post: Postcard in my mailbox!